The worlds only airworthy Bristol Blenheim took pride of place at The Aircraft Restorations Company’s new hangar opening at Duxford recently. 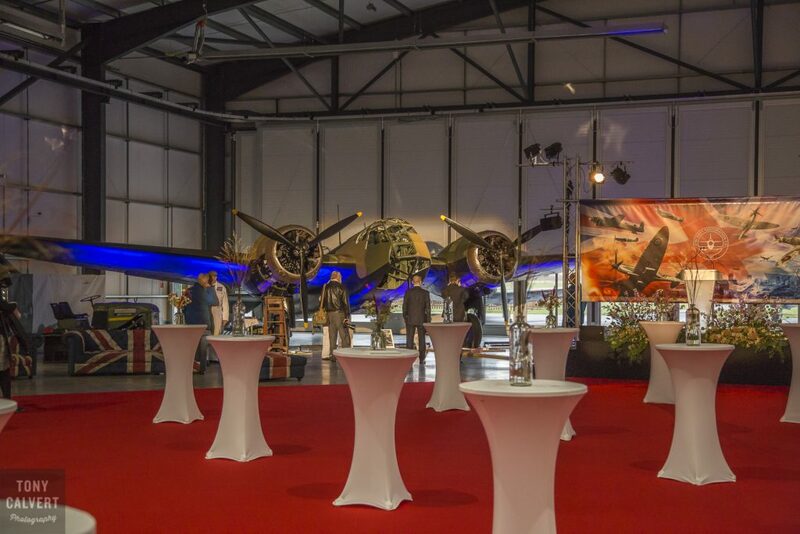 The Stephenson Hangar, officially opened by Air Marshal Stuart Atha, was named in memory of Air Commodore Geoffrey Dalton Stephenson CBE, leader of 19 Squadron, based at Duxford Aerodrome in the Second World War. John Romain, managing director of the Aircraft Restoration Company said the opening of the new hangar at Duxford was a proud moment for them. “This new facility will enhance our engineering and flying capabilities and enforces the view that Duxford is the centre of excellence for historic aircraft restoration and operation,” he said. “We are also proud that the first aircraft to benefit from this new facility will be the Royal Air Force Lancaster bomber. This aircraft forms a pivotal role in the Battle of Britain Memorial Flight which displays to more than a million spectators every year.